EXACTLY 100 years after the darkest year of the Great Hunger, another freakish phenomenon arrived to torment and kill the Irish poor. In January of 1947, just three years after the end of World War II, a bizarre anticyclonic weather event occurred and went on for two months. Freezing temperatures, biting east winds, five major blizzards and snowdrifts of up to 20 feet all arrived during the worst fuel crisis in the nation’s history. It was as if a ripple of the tide of misery and human suffering of the Famine had reached the shore after 100 years. There were other factors that still give pause. On the morning of Sunday, January 26, 1947, at exactly 10:27 a.m., people in their homes in Dublin felt a strange, quivering sensation. According to the seismograph at Rathfarnam Castle outside Dublin it was the result of a fairly large earthquake that lasted sporadically until noon. By 1:30 p.m. that same day it began to snow in Dublin. At first the city looked like a Christmas card scene. Children raced around throwing snowballs and making slides. Two days later it had become a winter beyond human memory. Inexplicable to meteorologists, it seemed to some of them as if the wrath of God had been directed against Ireland. Throughout the country people were forced to strip the furniture in their own homes for fuel. By February 1947 Dublin’s death rate more than doubled as the old and the poor succumbed to hunger, cold and illness. 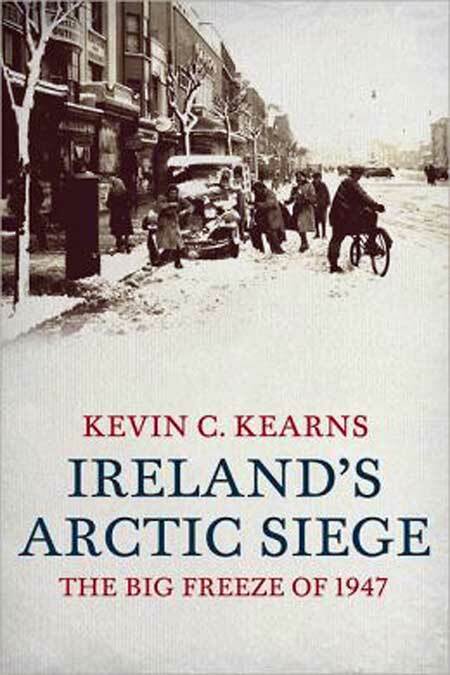 In his evocative and often startling book, Kevin Kearns holds the mirror up to the Irish government, which under the circumstances did the unthinkable -- nothing at all. They sat in Government Buildings round warm fires and waited. There was no immediate national effort to aid the towns and villages lost in the snow. One hundred years after a callous government had left Ireland to its fate, a new one had done likewise. IF you don’t believe in God, Elvis Presley can make a handy substitute. For generations of Irish prodigal sons that’s exactly what he has been, after all. If there’s no man in the sky to untangle all your complicated emotions then the man from Memphis will do just as well. 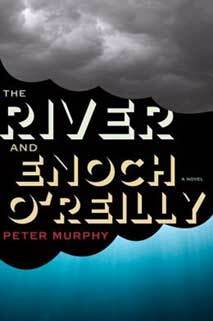 In Irish journalist and novelist Peter Murphy’s hypnotic second novel The River and Enoch O’Reilly, we meet the ex-seminarian and now preacher who prays to Elvis. Murphy’s episodic and fractured tale introduces us to the locals of Murn, the fabled little Irish town filled with haunted inhabitants where bodies have been turning up in the nearby Rua River. That set up provides the scaffolding to reflect on the nature of love, faith, family and fate, which could hardly be more Irish subjects. Murphy’s book often achieves the supernatural clarity of a lucid dream, which is a testament to the skill of his emerging talent. SOME Irish men have terrible tempers that prevent others from ever really getting to know them all their lives. Hair trigger susceptibility to real or imagined slights can see them caught up in an isolating dance that goes on almost all of their lives. Two decades after his death, Irish American writer J.F. Powers deserves to be more widely known. But that was true even during his life, when his hyper vigilant character often scared people away. The writer of two novels and three collections of short stories, his output may have been modest but it attracted serious praise. Evelyn Waugh thought him gifted, as did other literary titans Saul Bellow and Phillip Roth. It was Powers’ own nature to spend his life in search of what he called “suitable accommodations” that really marked him. Brought up in poverty and destined to spend his life in its grip, Powers lamented his circumstances much more often than he struggled to overcome them. The letters contained in this collection provide vivid snapshots of Powers’ often chaotic life, lived often on the edge of near destitution. They also show how engaged he was at all times with his own creativity, although the tension between that and his modest life is definitional. These letters paint a portrait of a life (and a love affair) begun in earnest but unraveled by an enraged sense of the gulf between how things were and how things should be. They are also undone by Powers shocking lack of practicality. But behind all that, they are marvelously written, and so we -- like the editor herself -- are left to parcel out the man from his achievements. This is a poignant but strangely salutary collection.